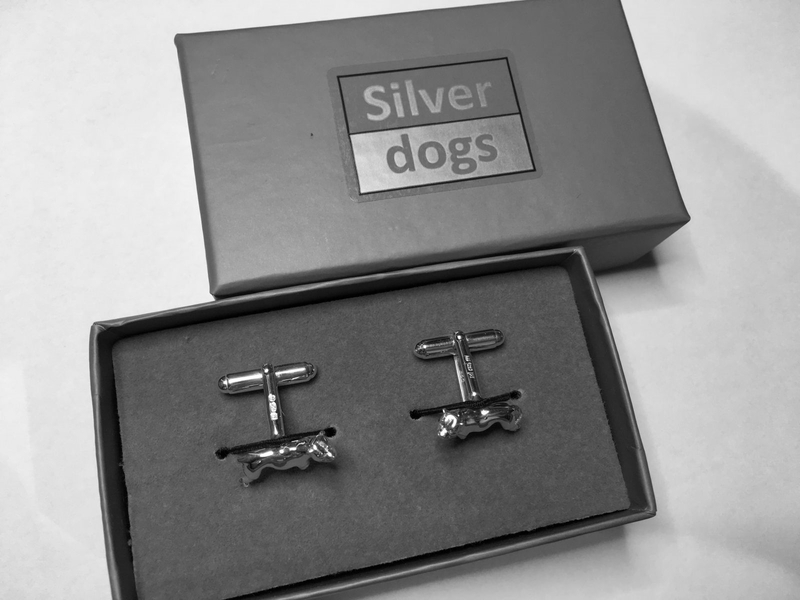 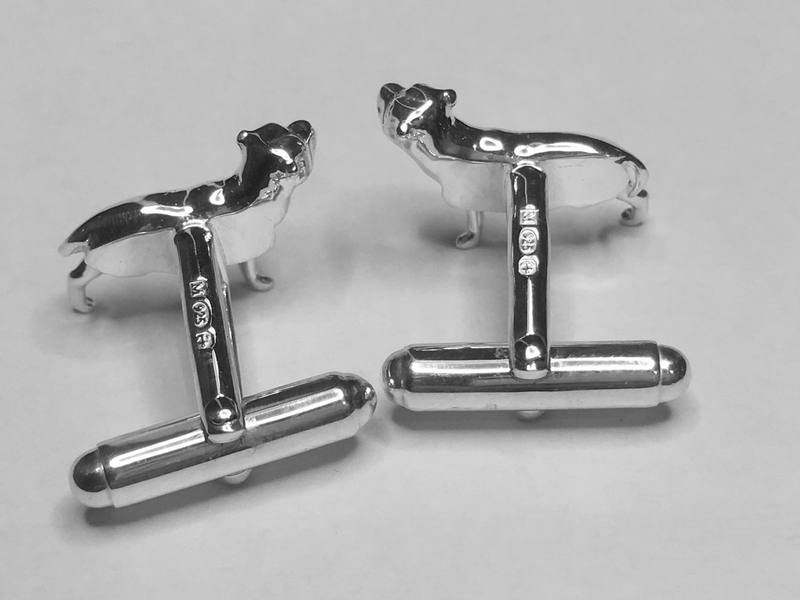 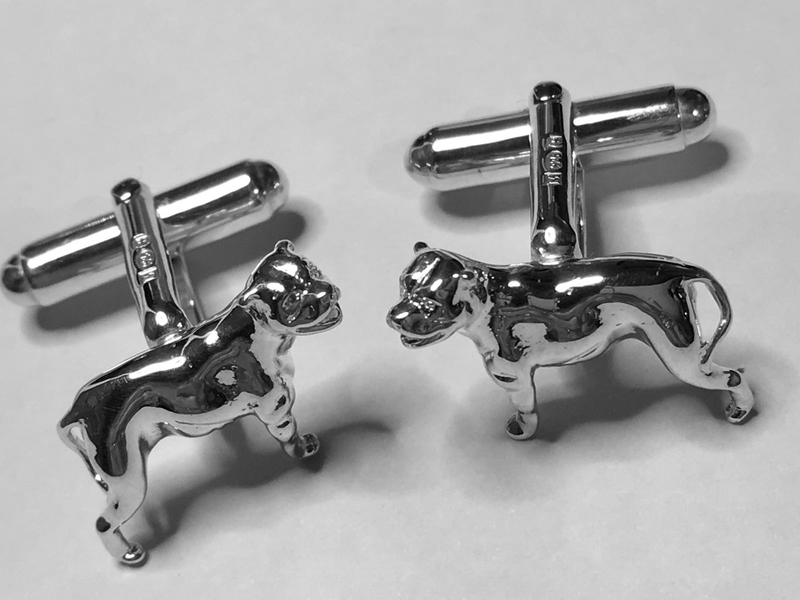 Our Staffy cufflinks are a great representation of this fabulous breed, bold and tough but affectionate and loyal. 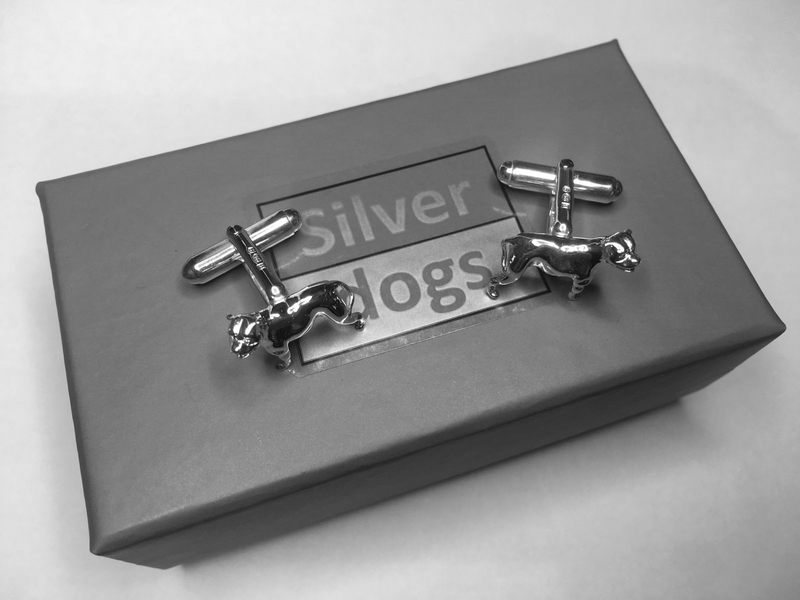 We manufacture our Sterling silver cufflinks in the Jewellery Quarter in the heart of the UK where our expert silversmiths hand make , polish and inspect each and every one of our products before it's allowed to be sent to you. 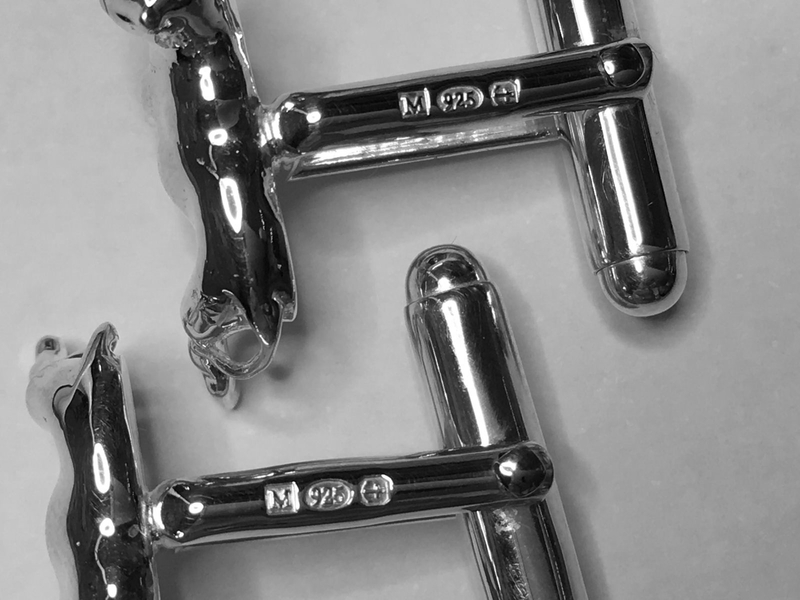 The craftsmanship in both the design and manufacturing process means everything to us. 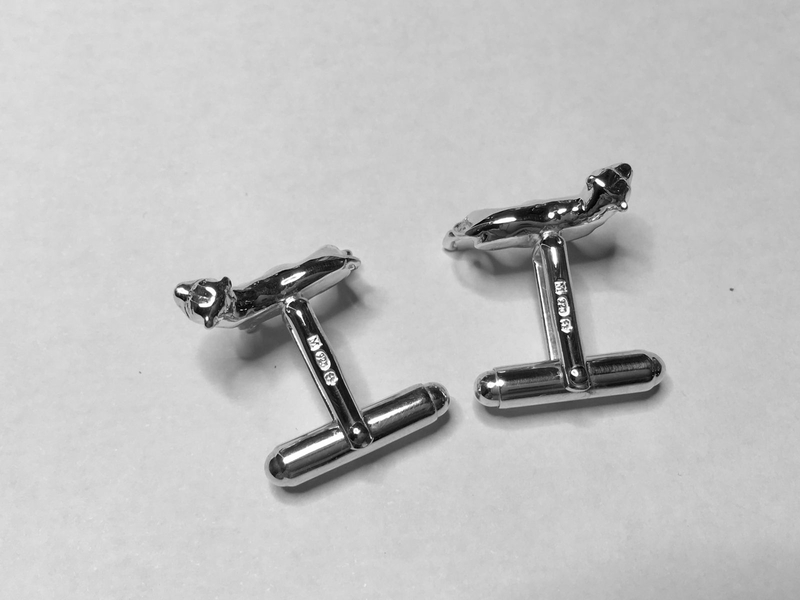 We are proud to claim that our cufflinks are the best quality and most detailed you will find. 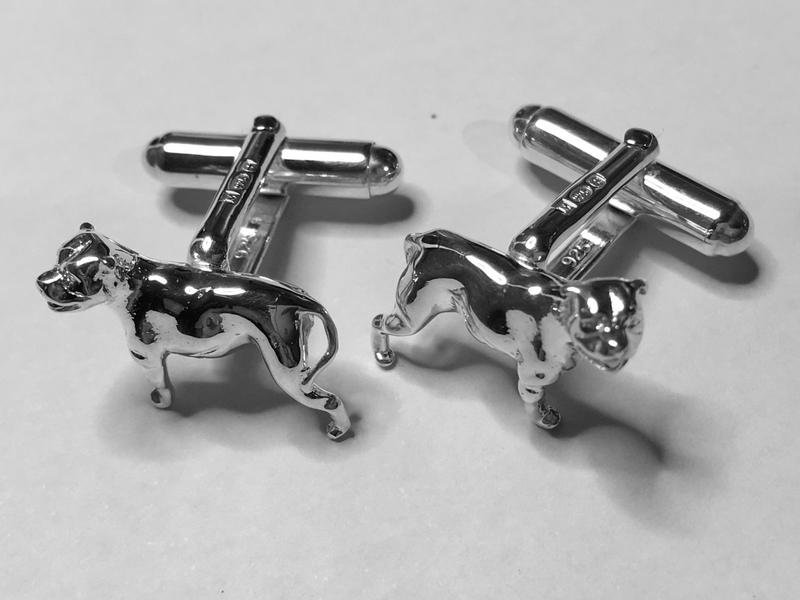 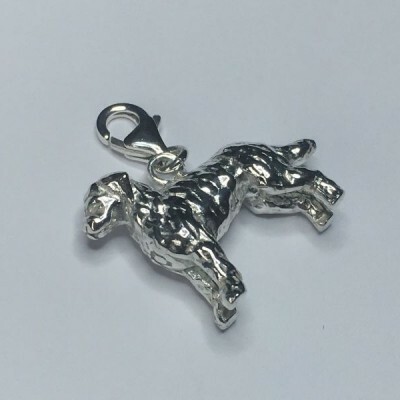 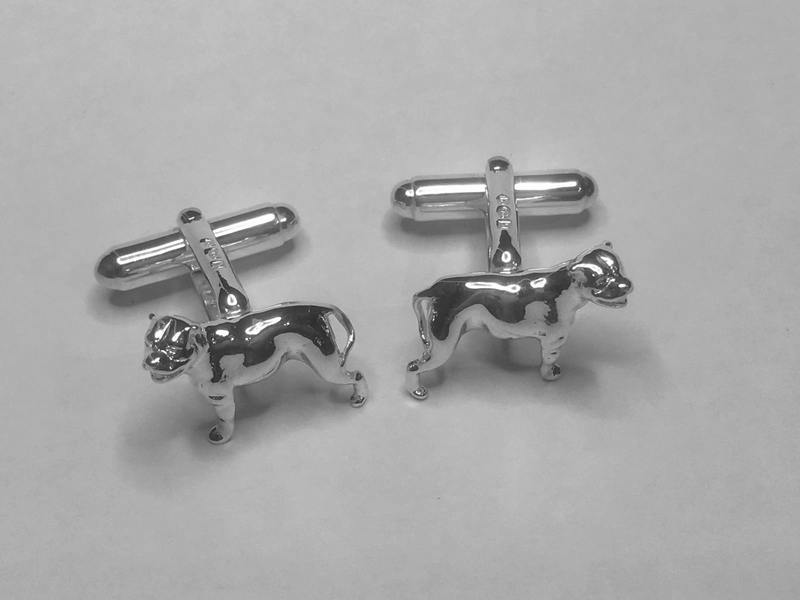 Most of our breeds can be made to order into cufflinks (takes about 10 days) . 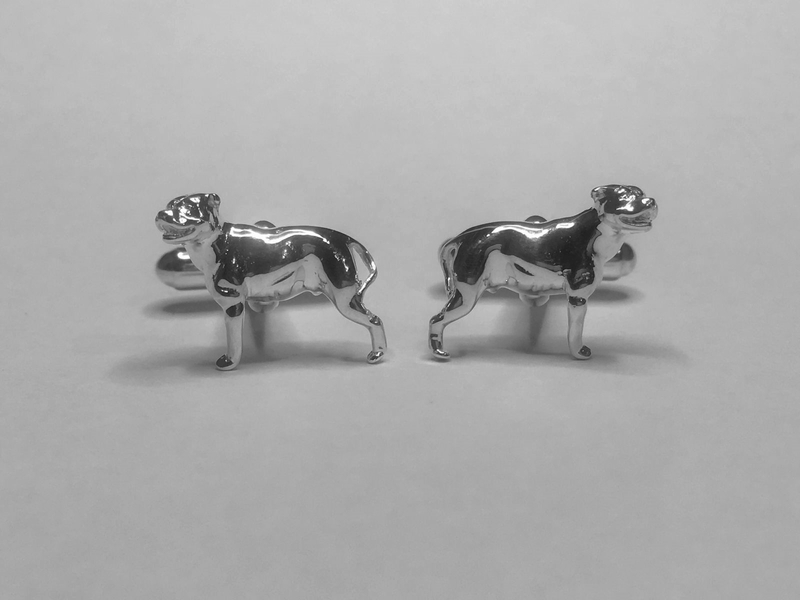 Some are left and right and half 3D like the Staffies here. 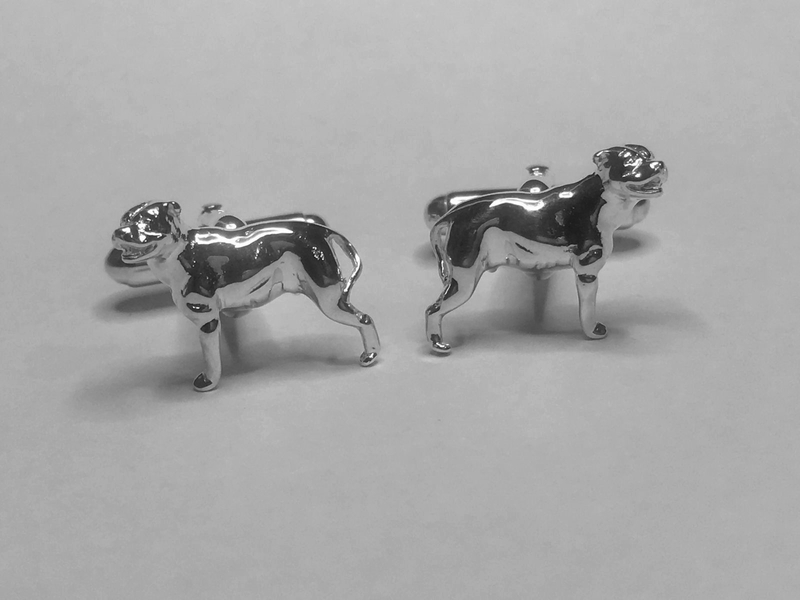 Some are full 3D and left and right and some are 3D but facing the same way . 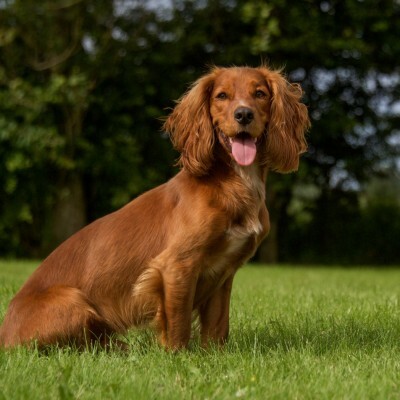 To find out if we can do your breed of dog just email us , phone us or chat online we're happy to help.